Stay in the heart of Bangalore! Located in the heart of Bangalore, Hotel Grand Arabian is a pleasant hotel with a slightly modern architecture. 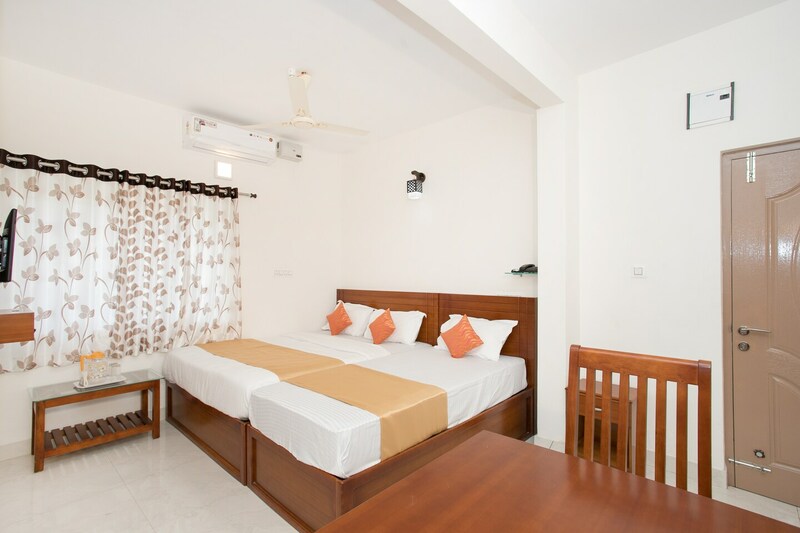 The bedrooms at the hotel have a simple and sober decor with light colored walls and wood furnishings, keeping the ambience of the rooms warm and comfortable. The hotel provides its guests with free Wi-Fi and power backup so that they can remain connected with the rest of the social world. Other amenities offered by the hotel are a geyser, CCTV cameras and a card payment option. The hotel is well-connected with a number of important bus-stops. The area is located nearby the local attractions like Hal Heritage Centre and Aerospace Museum, Anjanadhari Apartments and Sree Surya Narayana Swamy Temple.